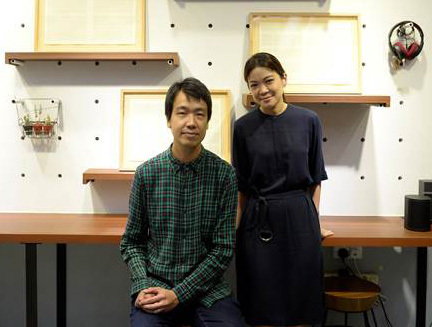 Singaporean artist Song-Ming Ang and curator Michelle Ho have been appointed as the artistic team representing Singapore at the 58th Venice Biennale from 11 May to 24 November 2019. Marking Singapore’s ninth participation in the Biennale since 2001, the duo will present an exhibition titled Music for Everyone: Variations on a Theme for the Singapore Pavilion, located at the Sale d’Armi building in the Arsenale in Venice. The work extends Ang’s practice of using music as a platform to explore ideas of public involvement and the various ways people relate to music, both individually and as a society. Music for Everyone: Variations on a Theme derives its title from a series of concerts organised by Singapore’s then-Ministry of Culture in the 1970s and 80s to encourage public appreciation of the arts. Ang’s presentation will span various media, drawing from experimental music practices and the spirit of amateurism to establish a counterpoint to the state-driven vision of Music for Everyone. A major component of his presentation is Recorder Rewrite, a new work based on the recorder, a music instrument that has been part of Singapore’s music education in schools since the 1970s. Other components include developments of his earlier works such as You and I, in which Ang compiled and mailed out personalised CD-R mix-tapes as a response to anyone who wrote him a letter. Ang’s multidisciplinary art practice often examines the contexts in which music is produced, disseminated and consumed. Ang is a recipient of the Young Artist Award in 2011, conferred by the National Arts Council, and one of five contemporary artists selected for the 2015 edition of the President’s Young Talents exhibition at the Singapore Art Museum. His works have been presented by numerous overseas institutions, biennials, and festivals including Camden Arts Centre (London), Witte de With (Rotterdam), Künstlerhaus Bethanien (Berlin), Haus der Kulturen der Welt (Berlin), Museum of Contemporary Art (Sydney), the 14th Istanbul Biennial (Turkey), and Festival of Live Art (Melbourne). Ang has also presented his works locally with NTU ADM Gallery, NUS Museum, Institute of Contemporary Arts, the 3rd Singapore Biennale, Singapore Arts Festival, Singapore Fringe Festival, the Substation, and the Esplanade. In addition, Ang has participated in residencies with NTU Centre for Contemporary Art (Singapore) Gertrude Contemporary (Melbourne), Hospitalfield (Scotland) and Arcus Project (Japan). By drawing on the dialogues that can exist between experimental music and conceptual art, a recurrent aspect of Ang’s practice is the meaningful involvement of members of the public in the creation of his works. This element of participation is evident in Yesterday (Mobile Karaoke), presented at the 2011 Singapore Arts Festival, where a truck installed with a stage and karaoke system travelled around Singapore for the public to sing their favourite songs; and Guilty Pleasures, a listening party where audience members play and speak about songs they love but are embarrassed to reveal. 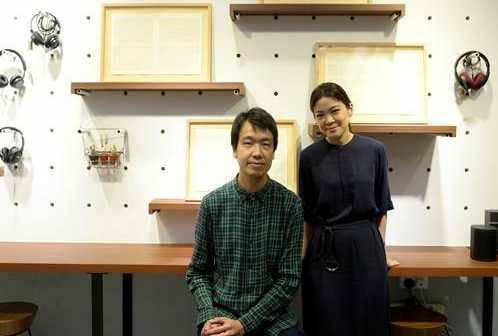 Ang and curator Michelle Ho – who is also Gallery Director of the ADM Gallery at the School of Art, Design and Media, Nanyang Technological University – most recently worked together in February 2018 on the group exhibition Exceptions of Rule, exhibited at the ADM Gallery.